Riding Too | Play Social. Ride Social. You can venture new and exciting terrain, while remaining safe with convenient communication. Where will you go? 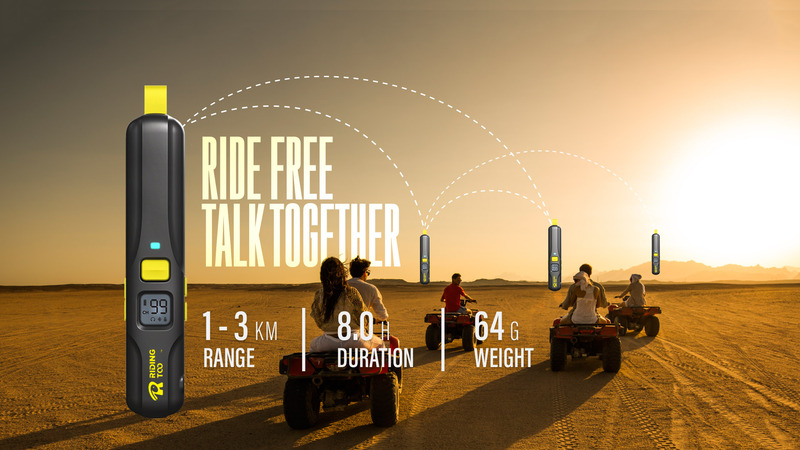 Ridingtoo provides instant communication without compromising your main activities. Small and compact, our walkie talkie fits in the palm of your hand. Lightweight and easy to use, Ridingtoo’s lets you effortlessly equip your RT1 on the go. Use our Product for Every Outdoor activity you can think of.